Die-Pat flanged adjustable foot inserts for round or square tubing and pipe: 38mm, 41mm, 51mm round or square foot inserts. 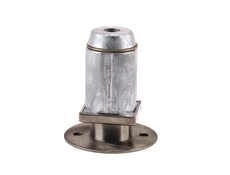 Available with or without mounting holes - Adjustable to level equipment on job site . 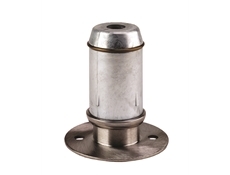 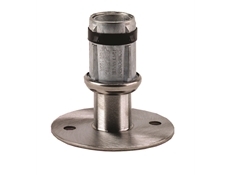 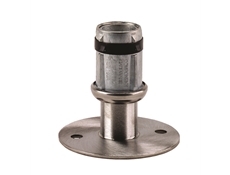 Flanged foot models have 2.6mm (12g) stainless steel flange with a #4 satin finish and provided with (2) 11/32" (9mm) dia. 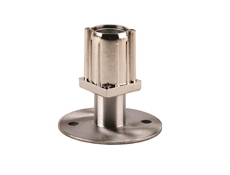 mounting holes, spaced 2-1/2" (63mm) O.C.